Welcome! 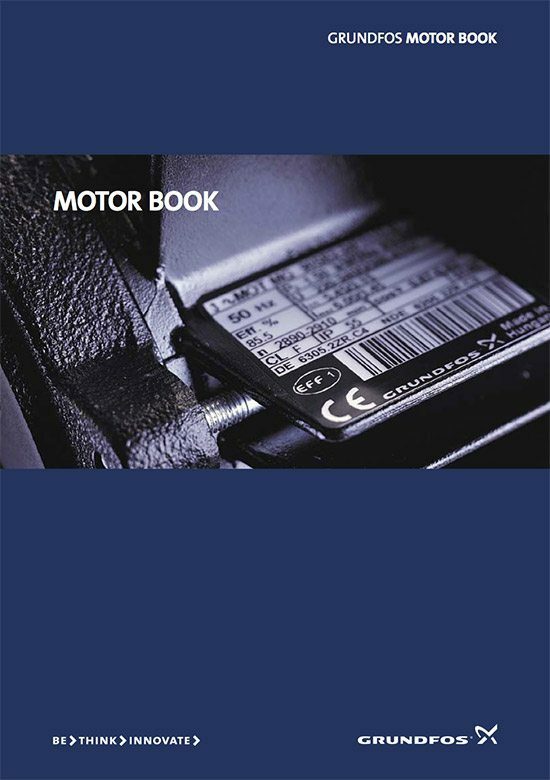 This motor book will provide you with a wealth of information about electrical motors, how they work, what they can be used for, and so on. But before we delve into detailed explanations of the world of electrical motors, we should perhaps spare a brief thought for the purpose of these motors. After all, motors are always designed to carry out specific tasks. As this is a Grundfos publication, it is only natural that we should pay special attention to motors used for pumps – although much of the information contained within these pages will benefit all those with an interest in electrical motors. Several standards for testing electric machinery exist on a worldwide basis. 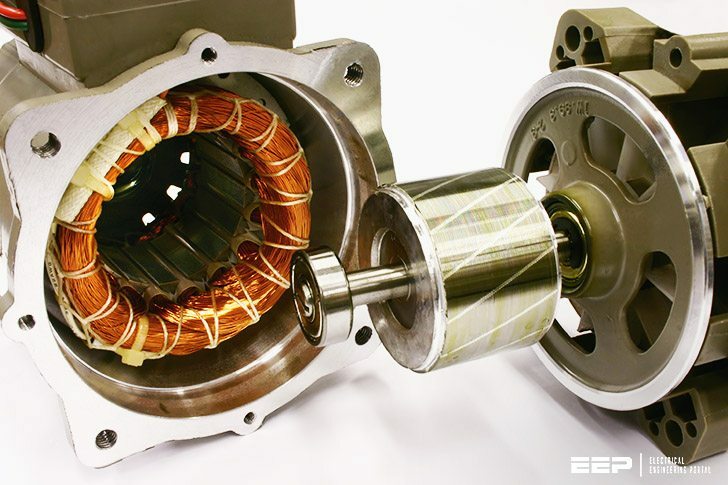 For induction motors, the three most important ones are IEEE Standard 112, JEC 37 (Japan) and IEC 60034-2. The efficiency value obtained from the different testing standards can differ by several percent. The main difference between the standards is the way in which the fifth loss component stray loss (Pstray), the additional load losses, is treated. The testing of standard motors is described in IEC 60034-2. In the following paragraphs two different methods of testing motors are presented: The direct method and the indirect one . The difference between these two methods is the way in which the motor efficiency is established. IEC 60034 covers the so-called industrial motors . Requirements of domestic appliances are listed in IEC 60335, which specifies somewhat different (stricter) requirements of the motors . In addition to the tests of standard motors our laboratory also undertakes to test products integrating motor and pump . In principle the thermal tests are the same, but the tests are carried out according to other standards . Small circulator pumps are for instance tested according to IEC 60335-2-51. Love the pretty colors. As a result I pulled my broken well pump out of the ground and replaced it with a shiny new Grundfos. Not only did I learn about motors, I now have hot water and a flushable toilet. At work they started calling me “Bear” because I was squatting down and leaning against a tree in the woods to poop. Thank you EEP and Grundfos! I want to know that how an induction motor can be rewinded with approprite wire guage (SWG) and how it create megnetic field to run a motor smoothly with its max. capacity load. If we change wire swg , the motor runs on wrong load. How can we decide approprite wire swg according to its stater and rotor? Thank you very much EEP. Thanks for providing an excellent website. I want to download the book on motors titled, “Motor Book – Grundfos” but the link is not working. The link is not a PDF file as it should be. Can you please send me this download in my email or fix the link on the download page. I really appreciate your website. It is an excellent resource, and would be even better if those download links worked as intended. I would like to thank you for this useful portal and its helpful contents. wish you good luck. hope you go on. It may be due to my security settings (I don’t know) but I’m unable to to download most of the material on the site. I would like to download a book entitled “Motor Book – Grundfos” from your site. However, it is not possible for me to do that for even others.